My mom grew up in Baja California. And since we lived in Los Angeles, there were many opportunities to visit. I have many fond memories of Baja California: the ranchos that my mom’s family had east of Mexicali, La Rumorosa, and the beaches at San Felipe and Ensenada. 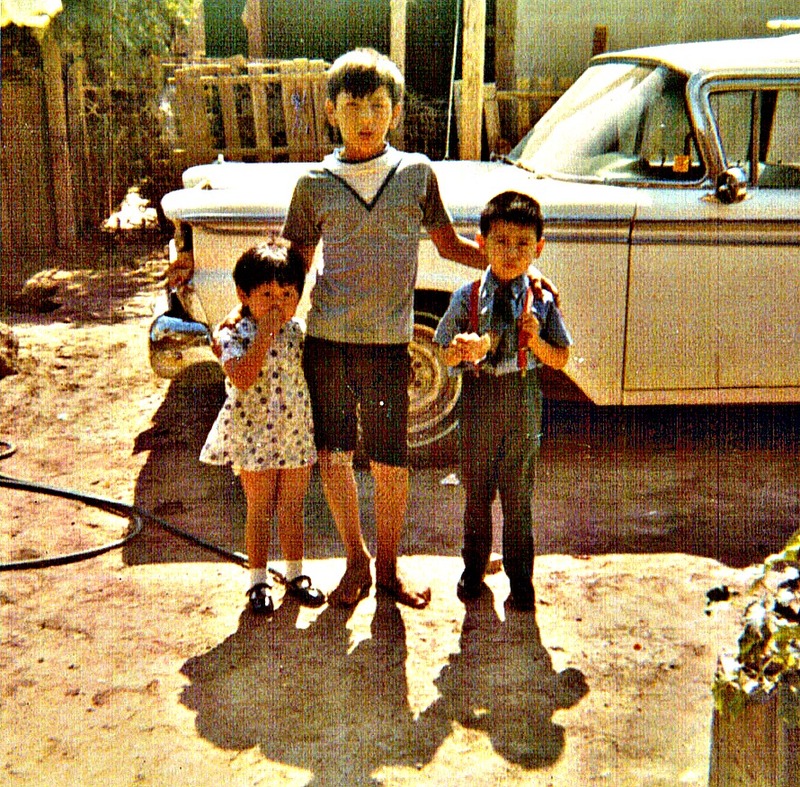 Below is a picture of my sister, my uncle and me a long time ago in Mexicali. It was always fun to visit my abuelita and my tíos and tías! 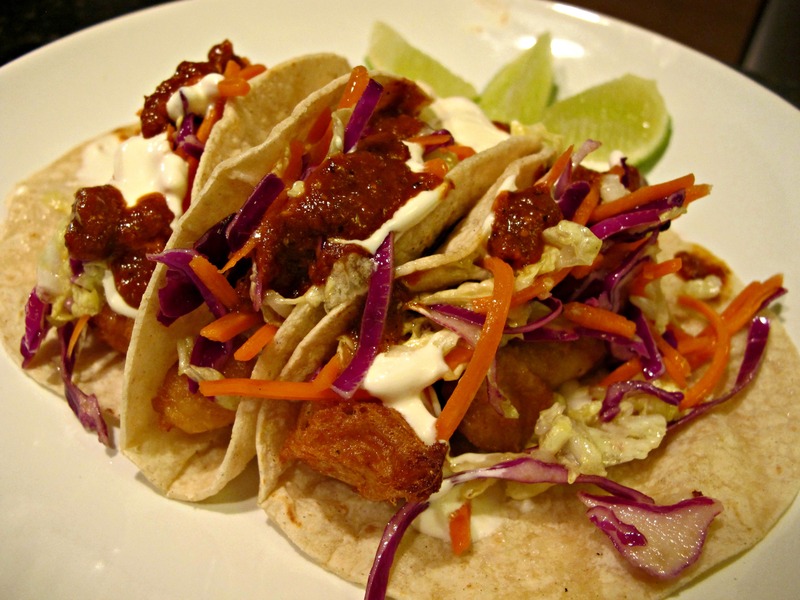 This recipe is from Ensenada, which is famous for its fish tacos. In a medium-sized bowl, add the garlic powder, salt, Mexican oregano, yellow mustard, soy sauce, and beer. Mix well. Add the flour and baking powder and whisk well to make a batter. Set aside. For the cream sauce, mix the milk, mayonnaise, sour cream and lime juice and set aside. 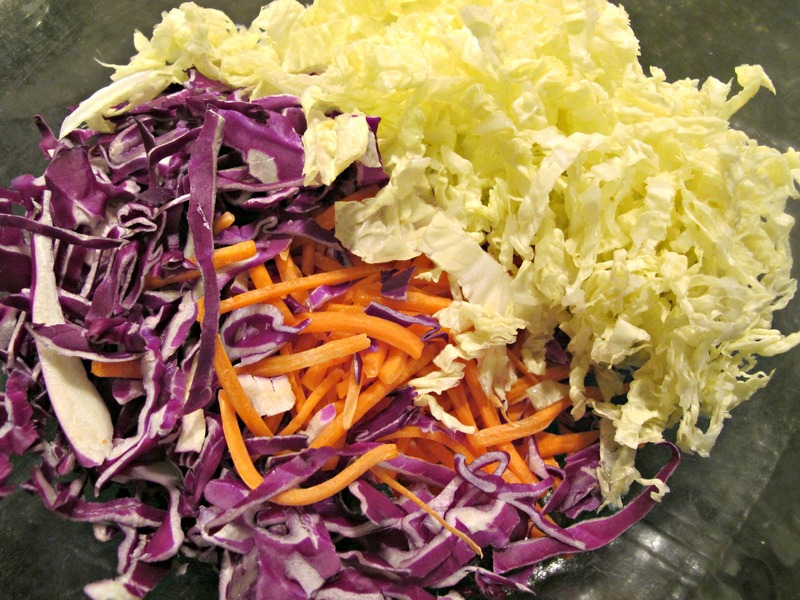 Toss the Napa cabbage, purple cabbage and shredded carrots to combine evenly and set aside. Heat the oil to a deep fry temperature (370 degrees Fahrenheit). 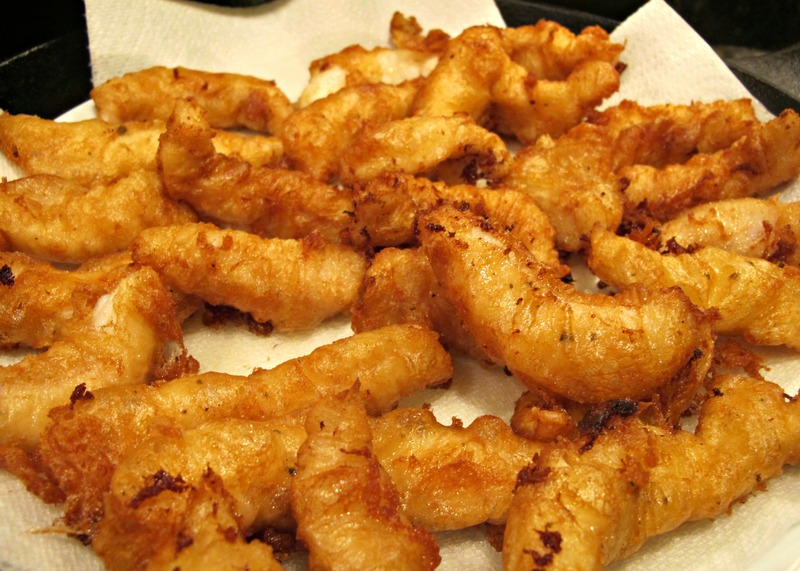 Dip the fish strips, individually, into the batter and fry until golden brown. Reserve each piece on a plate lined with paper towels. Continue with the rest of the fish. To assemble: Heat the tortillas on a comal or skillet until softened and pliable. 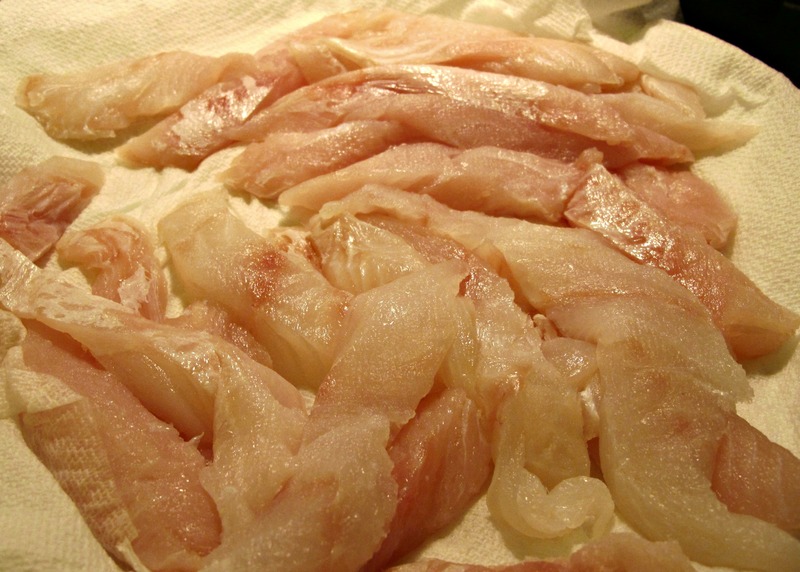 Place a piece of fish and top with the cabbage, cream sauce and salsa. Squeeze some lime juice over each taco, to taste. With all the snow we are getting around here, I wanted to make something that reminded me of the warmth of the beach in Mexico. And it is tasty.